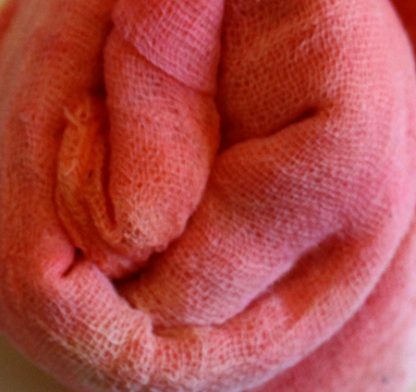 Hand Dyed Scrim Cheesecloth Gauze Fabric peachy colours. Our 100% pure cotton scrim is a quality fabric for artists and crafters. The threads of this open weave fabric are easily pulled apart for mixed media or embroidery. Procion dyes are used in very small batches in our kitchen studio in a smoke-free, pet free environment. We rinse and wash, but please do wash again if you are preparing a precious object because we would hate for it to be ruined by any residual dye. Absolute colour fastness is not guaranteed. 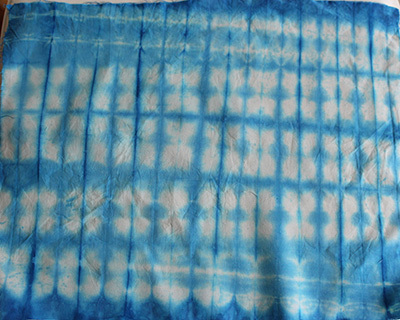 Scrim does shrink, but shrinkage should have occurred in the dyeing process.We recommend a cool water wash, hand or machine. 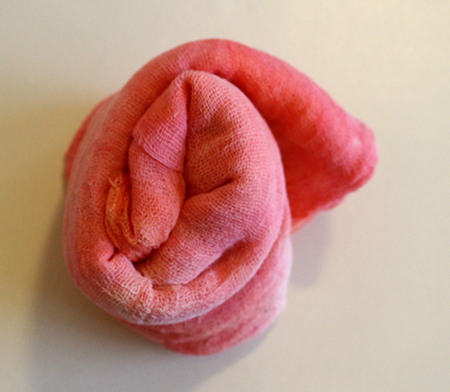 I much prefer to hand wash this fabric. Please be aware that any rubbing will affect the fibres, any hot water might cause further shrinkage and that washing in a machine even in cool water will cause fraying. Threads pull easily. A variety of colours in a variety of sizes is available, so please ask if you do not see the colour or size you want. We do not colour dye to order. 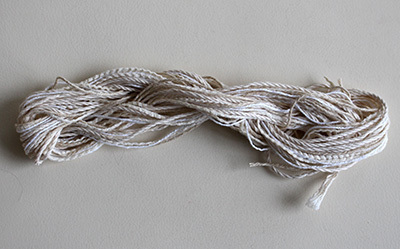 We also sell undyed scrim for those who prefer a natural fabric or prefer to dye their own. 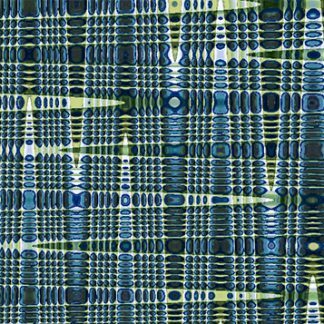 You can easily achieve a textured look using this fabric. Fold, pleat, pull threads or twist and manipulate for different effects. We do our best to photograph the product to show the exact colour but computer monitors do differ so you might not be seeing the colour displayed accurately. Size: 117 x 74cm (46 x 30″) approx. Have a look at our other products.